Australian batsman Mike Hussey today announced he would retire at the end of the Australian summer from international cricket. The 37 year old will be farewelled at the SCG for the 2013 New Year test, and will play the subsequent one-day series before bowing out from the Australian team. Momentum looks to be with the Australians heading to the MCG and the 2012 Boxing Day Test, after the Aussies found some spark to rout Sri Lanka on the final day in Hobart. Well, it is that time of year again. The time where obsessed cricket fanatics (such as myself) sit down, ponder for hours, and then finally write some sort of scribble about the top players for the year. This is a first for me, and I’ve decided to pick 13 players worldwide who will make up my inaugural World XIII. They are in no particular order. When some of you read this, you might ask ‘where’s Brendon McCullum, or perhaps Hashim Amla?’ Yes, I did consider them, but in my mind didn’t make the cut for 2012. Their years were both excellent and helped lead their teams to some great victories, but in my mind they were beaten by others for consistency and other similar factors. Add to the fact that picking just thirteen players is extremely difficult. Two very good sides will take to the MCG on Saturday night. Only one will win, but it is going to be a tight contest. The Melbourne Stars didn’t just crush the Perth Scorchers on Wednesday night; they sent them flying into next week, in a whirlwind of shock blonde hair and two overs of power hitting from Luke Wright. Now they come up against an opponent very much their equal; the Hobart Hurricanes. Tim Paine, Jonathan Wells, the big hitting Travis Birt and Owais Shah all demonstrated they all can bat. Ben Laughlin, Michael Hogan and Evan Gulbis were also very good with the ball. It is going to make for an interesting clash. The Hurricanes won’t easily forget last years clash, when Wright went bananas and proceeded to smash 117 from just 60 balls. Then again, Travis Birt dished it up to Clint McKay, sending three balls out of the park in Hobart. Some massive sixes and exciting chases brought round one of the 2012/13 KFC Twenty20 Big Bash League to a close. It started with the Melbourne Derby-Stars v Renegades at Etihad Stadium. I was at the game, and the 23,584 fans there weren’t disappointed. After a well-made 53 to English import Luke Wright, as well as 42 and 28 respectively to veterans David Hussey and Brad Hodge, the Stars set the Renegades a total of 168 to win. The Hobart Hurricanes and Brisbane Heat will kick off the Big Bash League‘s first double header of the season tonight at the Gabba. With Daniel Vettori injured and having to pull out of the Heat campaign, and Cricket South Africa not willing to release paceman Dale Steyn for his one-off game, the Brisbane Heat will be needing to make a couple of changes to its squad. Technology in cricket has become more and more prominent. So much so that it seems it comes into play far too often. So where to draw the line on technology, in particular the Decision Review System (DRS). A hot topic not just in the recent test series against South Africa, but has also demanded controversy ever since it was introduced. In this final Big Bash League series of previews, the Adelaide Strikers and Perth Scorchers go under the hammer as we near the start of BBL|02. The Strikers had a strong team but were somewhat underwhelming in terms of results. The Scorchers, meanwhile, made the BBL|01 and took it right up to eventual champions the Sydney Sixers. The Strikers will be facing some tough competition, after losing key all-rounder Andrew McDonald to injury. The Justin Langer (coach) lead Scorchers have got firepower once again. 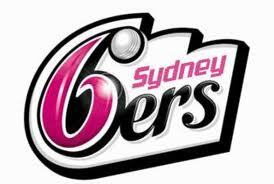 Inaugural Big Bash League and Champions League Twenty20 winners, the Sydney Sixers are on top of the Twenty20 world right now. Demonstrating a balance of excellent batting, bowling and fielding, the Sixershave displayed the mantra that is needed to succeed in the shortest form of the game. The Sixers have signed a squad for BBL|02 that is full of young talent and experienced players. After their two tournament wins, can they raise the Big Bash League silverware again? We will find out, starting December 8.